On the HBO award-winning TV series THE SOPRANOS (1999-2007) it was easy to like Vincent Curatola’s character Johnny “Sack” Sacramoni, a mobster who worshipped his heavyset wife. Sure, Curatola’s character was a cold-blooded killer and he was scary to watch, but there was always a touch of humor, especially when he had to endure wisecracks about his wife’s weight. Curatola was so convincing that when Johnny Sack winced at a fat joke, the viewers did, too. A Jersey guy, Curatola grew up in Englewood a residential community just north of the George Washington Bridge. According to his website – VincentCuratola.com – he always had the acting bug and it was his wife Maureen who encouraged him to take classes. Soon after Curatola brought Johnny Sack to life. 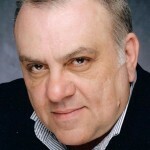 In the seven years since the show ended, Curatola has made a few movies, appeared in several TV shows and taught acting in New York. He recently taped five episodes as an exasperated judge on the CBS hit show THE GOOD WIFE starring Julianna Margolis. Has it been difficult for Curatola to reinvent himself after eight years in a hit series? Do all roles pale in comparison to Johnny Sack? 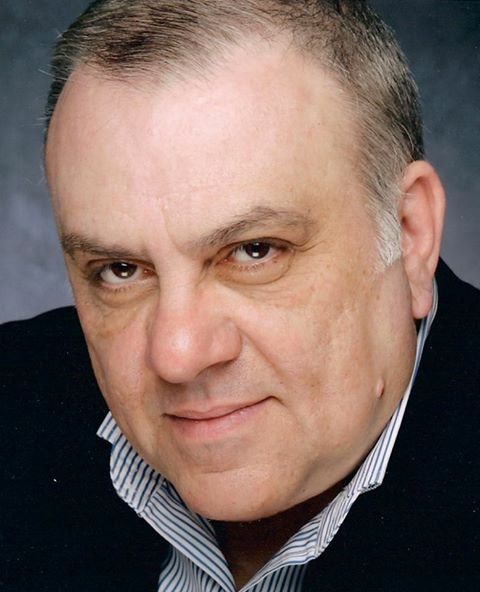 On a recent afternoon, Mr. Curatola took time from his busy schedule to speak to River View Observer about what it’s like to continue his career after THE SOPRANOS. RVO: Mr. Curatola, can you tell us a little about your background; where you grew up? VC: I was born and raised in Englewood and I had a unique paper route on the block I lived on. My customers were Tony Bennett, Jerry Vale, Wilson Pickett, Lesley Gore, Dizzy Gillespie and Sarah Vaughn. I used to deliver The Record. My father had a masonry business and I started one on my own in the mid-1970s, but I had fantasies (about acting). So I went to study with Michael Moriarty. RVO: Did you do much acting before being cast in THE SOPRANOS? VC: Michael got me on LAW & ORDER and I wrote a one act play about a funeral guy called DEARLY BELOVED. I also did the show EXILED. 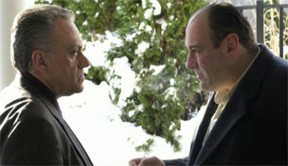 RVO: How did you get the part of Johnny Sack; was there a lot of competition? VC: I happened to be filming in Staten Island and my agent called and said, there’s this thing THE SOPRANOS. I told her I don’t want to go to the audition. I thought it was going to be SATURDAY NIGHT FEVER meets The Bronx. She called for the third time and said, they’re going to cast this character; you need to go in. I went home to New Jersey, changed and went to 72nd Street in Manhattan for the audition. I got out of the cab and thought let me smoke a cigarette. It’s a gorgeous spring day, I’m late already, let me smoke another cigarette. I got upstairs 35 minutes late, and there’s a woman sitting at a big desk in the middle of the room. Sorry, you’re late, she says; I’m leaving. She looks up at me and changes her mind. She says do you have the pages they faxed you? Come over, sit down and let’s read the scene. I read it once and she said, do you want to do it again? I said no. She said, I want you to meet somebody on Monday That Monday I’m in this big ante room, and there were 40-45 guys in for callbacks, I hear them and everyone is screaming the part. I said I know what I’m going to do. So I go in, meet David Chase (the producer) and when I started the scene, I started to whisper. I whispered the whole scene. I could see they were scared stiff. The next morning, they wanted me to do one episode. I ended up doing 33 episodes and I was in it from the beginning right through to the end. 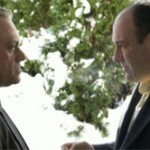 RVO: THE SOPRANOS was amazing, like Shakespeare, What was it like being in a hit series? VC: Every time FedEx delivered a script, you were like a viewer. The writing was so incredible they would take twists and turns. In many interviews over the years, the interviewer would describe it as a mob show and I would say, I’m not on a mob show. I always bristled at that. It’s weird. When people meet me, they say you don’t sound like a mobster. Johnny was an executive, he wasn’t the guy on the corner with the pinky ring. RVO: So many people were devastated over the death of James Gandolfini; can you share what it was like working with him? VC: Jimmy and I, we’ve been through a lot. One year he lost his father and I lost mine. We’ve been through more funerals, more christenings. We met before THE SOPRANOS. 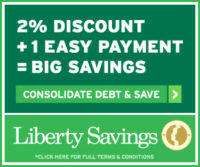 We used to hang out at Mary Lou’s in Manhattan. This is a guy, he gave us a piece of his production company and along with that came a beautiful check. On December 1st of last year, we had a street in Park Ridge where he grew up renamed James Gandolfini Way. RVO: What acting lessons did you learn working with him? VC: Don’t think; just open your mouth and talk. Don’t stop to check yourself out, don’t think. RVO: Is it true you watched the last episode together? VC: Yes. It was a Saturday night in 2007, we were brought to Foxwoods in Connecticut – me, Jimmy, Lorraine (Bracco), Tony Sirico, Steve Schirripa, Steve Van Zandt, and then the next morning they had a plane take us out to The Hard Rock in Florida, to watch the final episode with 16,000 people. They gave us a private room to watch it in. Nobody knew what the final episode was going to be. When it was over, I thought is David Chase kidding? Now we gotta go out to these 16,000 people and they did not look happy. What Jim did, he found a guy in Switzerland who makes hand-made watches and he gave each one of us a watch — you could buy a Cadillac with this watch. It says on the back: “THE SOPRANOS, R.I.P., love J.G. He was incredibly generous and self-effacing. Whenever we’d see in the script a guy was going to die that week, we would take that guy out for dinner. We couldn’t tell anybody – we couldn’t leak something – so if anybody asked, we’d say it was his birthday. RVO: Since THE SOPRANOS ended, you’ve been on LAW & ORDER, SVU and LAW & ORDER Criminal Intent; MONK, and PERSON OF INTEREST. Were you offered other roles? VC: I’m a little picky. Once you’ve been on THE SOPRANOS, it’s like what do you do now? You drove a Rolls, now you’re going to drive a Chevy? 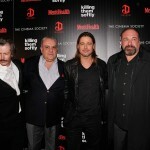 I did two movies, KILLING THEM SOFTLY with Brad Pitt and NICKY DEUCE which was written by Steve Schirripa. We shot it in Montreal with Jimmy, Michael Imperioli, Tony Sirico and Rita Moreno. RVO: Can you describe your part on the good wife? VC: I play a judge. It’s a complete 180 from Johnny Sack. I love working with Julianna. She played a girlfriend of Christopher’s on THE SOPRANOS. She’s a wonderful actress; I play the judge who gets exasperated easily. I love to play that. RVO: Anything planned for the future? VC: A few months ago I picked up the guitar again, I have three great teachers. About ten years ago, I went to the China Club with my wife Maureen, and who’s playing but CHICAGO. I ran out to my car and took out a CD of their greatest hits. When their act was done, I went backstage and they said, you want us to sign your stuff? Only if you sign ours. We had dinner once at The Plaza – it was somebody’s birthday – and one of the band members starts to hum and I start to sing. They said, you sing? So, for about 7 years I’d be their surprise guest singer. We played the PNC Arts Center, Jones Beach. They would say to the audience, we have a friend and he told us he has to come out and sing a song.